Artist, filmmaker and facilitator. Founder Film Team. Talker. Studied Film & Mixed Media at the Slade. I work with image, word, colour & sound, and have exhibited nationally & internationally,including Art in General NYC, MOMA Oxford & the London Film Festival (see CV www.janmiller.info). 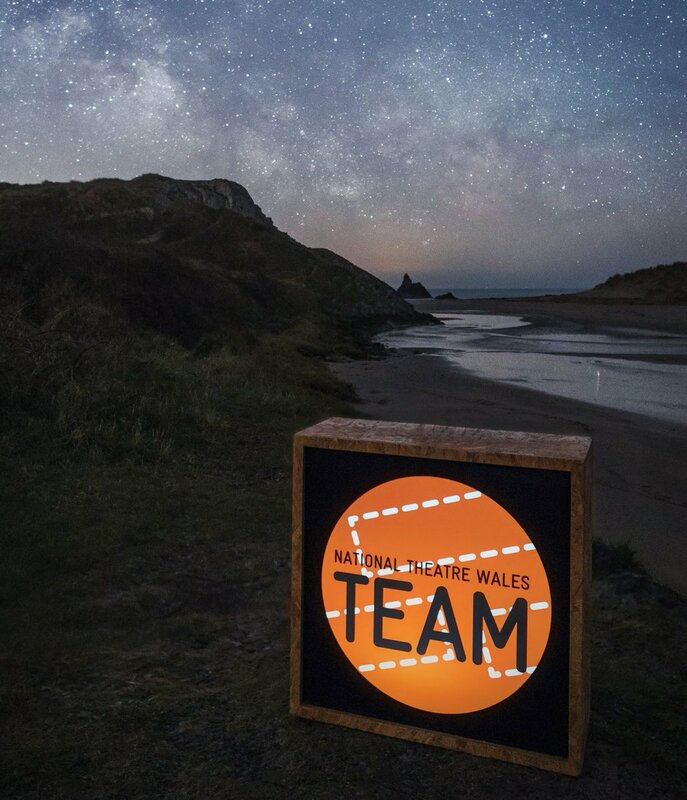 Saw NTW's 'The Beach'in 2010, active TEAM member since then; set-up the Young Filmmakers' Group at the Scala Prestatyn in 2011 (now the Scala Film Academy), followed by FILM TEAM, a young filmmakers unit who make films by and for themselves. Brought Mark Kermode's Hansel of Film to North Wales. As Education Consultant for the Scala Cinema Prestatyn, facilitated Panasonic First Light Olympic Shorts, TEAM Drama, peer-led summer schools, film literacy and filmmaking workshops for ages 5-19, for hard-to-reach and under-represented young people. Tate Circuit/Mostyn Cylch Digital Project Commission http://www.tate.org.uk/about/projects/circuit. Facilitating Film Team's latest and most ambitious short to date, 'Phantom Signal'. Works in the studio initiated during WalesLab Pollinate 2013, include the sound work 'queen of the sea', written for artist Leah Crossley, and works on paper exploring the idea of nostos (the return home), tracing a metaphorical journey from Anglesey to Western Scotland for the series 'the space between'. HI Jan, i have sent you an email also, but was hoping you might be able to share e-flyer on Earthfall's show coming to North Wales at Caernarfon, Galeri this weekend. Fri and Sat. Sorry your message had disappeared into my Spam folder. Yes I will be at Mostyn, 11 on Saturday. Let me know if there is anything I need to bring with me or have a think about in advance. Thanks for your message. Yes, please do keep me up to date of any TEAM events and meetings happening in north wales. I've only just moved here so looking to become more involved with the arts scene in the ares. I look forward to meeting you tomorrow at the NTW TEAM Y2 Wrap Party. I'm also looking forward to discussing project ideas tomorrow and getting involved with TEAM Prestatyn. Hi Jan, sorry, only just seen your message. Is there an age limit to which project? Ah Jan it was lovely to meet you to! If you're in Cardiff any time soon let me know and we should definitely meet up (I'm sure we have a LOT to talk about!). And if I'm ever up Prestatyn way... Otherwise see you at the next TEAM panel! P.S If you need any help with the film group I'll be there in a shot- What you're doing up there is great. I have no idea how I could help though...design stuff maybe?? Hi Jan, was lovely to meet you the other day. It would be great to meet the film team and get involved with the group. I'd love to try and get connections between the film studio's in Glyndwr university and your group going. It's great that I'm remembered from my previous works.